New in! 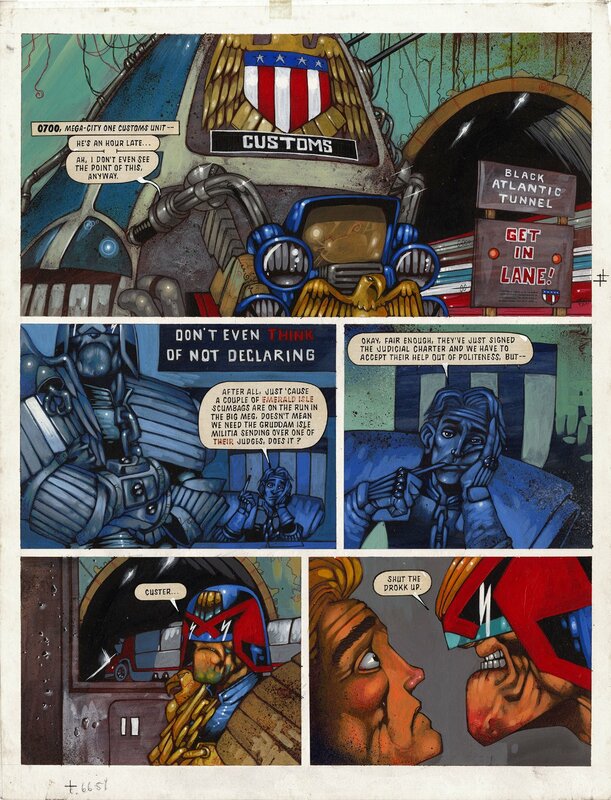 Lovely painted page from Greg Stapes from 2000ad Prog 806, 24th October 1992. Lettering is on acetate overly. A fantastic eary page of Greg's work! Page is 34 x 44.5cm. in good condition.